This book reappraises the place of children's literature, showing it to be a creative space where writers and illustrators try out new ideas about books, society, and narratives in an age of instant communication and multi-media. 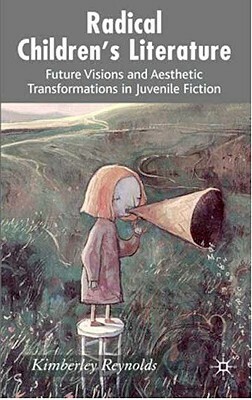 It looks at the stories about the world and young people; the interaction with changing childhoods and new technologies. Kimberly Reynolds is Professor of Children's Literature at Newcastle University, UK. Kimberly was formerly President of the International Research Society for Children's Literature (2003-7), board member of the V&A Trustees' committee with responsibility for the Museum of Childhood, and a board member of the charity Booktrust (Chair 2004-8), and is currently a member of the UK Children s Laureate steering committee.